The story from new york times that the current President Jonathan regime must corrupt since 1960 is true and a true reflection of what is happening in Nigeria. Corruption is at its unprecedented level as billions of Naira is missing daily and un accounted. The recent missing of over 20 billion dollars as reported by the removed central bank governor Sanusi Lamido is a clear manifestation of corruption in the system. The next general election is going to hold mid february next year. 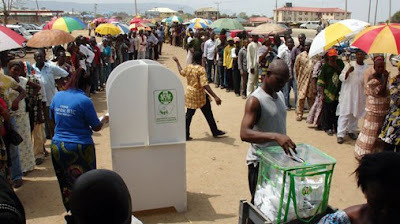 Elections in Nigeria are mired with distribution of money to lure voters. This will further increase the momentum of Jonathan’s regime to loot public funds. That will cause inflation to increase, and will further weaken the Naira on the international market. The international community should assist Nigeria in ensuring a free, fair, and credible election next year. Credible leaders can only emerge after a transparent election. A prosperous Nigeria is a prosperous West Africa.